Select and view the dishes in 3D directly on the table-top. Order the dishes from your place. Accompanying 3D scanning technology based on photogrammetry is used to create the 3D models of the food. Why a digital AR menu instead of a paper menu? The diner can understand the portion sizes of the dishes unlike any non-interactive paper menu. The dishes can be viewed from all angles. The level of details is then higher than what can be obtained with a picture. 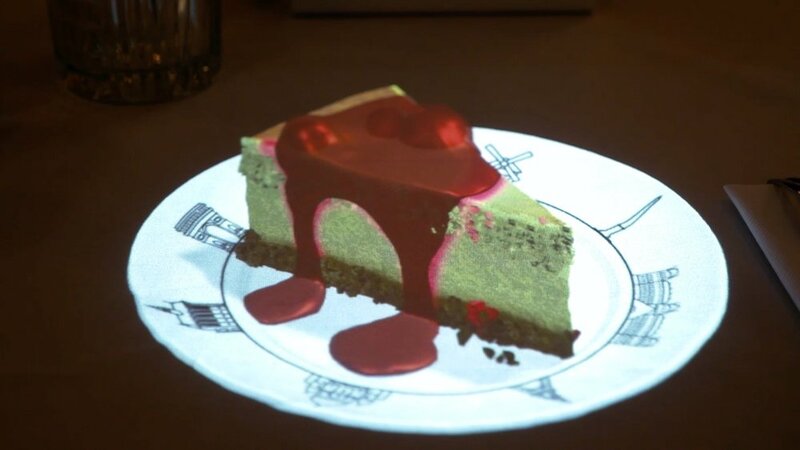 Interactive 3D animations are projected to tell a story about the dishes being prepared. It creates an entertaining culinary experience. Why HoloLamp and not a touch-screen table or a smartphone? 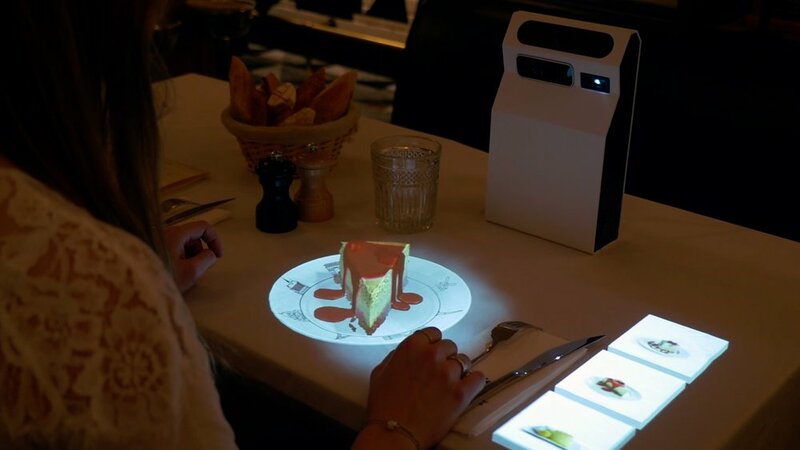 Using HoloLamp, the diners can easily engage with their surroundings, while smartphones or tablets place a screen between them. HoloLamp is therefore a convivial solution. HoloLamp provides a non-invasive interface contrary to touch-screen tables. When off, there is no screen but the table as it is. HoloLamp only projects content on precise regions of interest. The diner is focused on the content and is not overwhelmed by distractive invasive light that is displayed on screens. 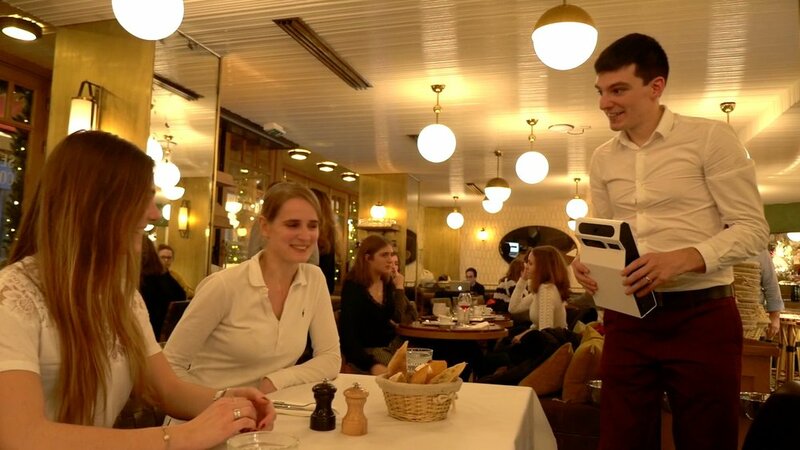 The HoloLamp IoT device projects bright images -200 lumens and for a relatively small surface-, making it the ideal AR solution for any restaurant light condition.